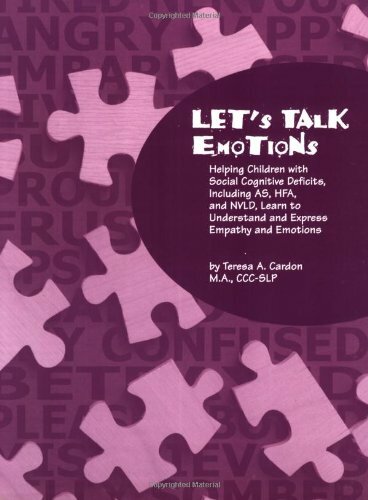 Offers strategies to help children with social cognitive deficits, including Asperger's syndrome, nonverbal learning disabilities, and high-functioning autism, learn to understand and effectively express emotions such as empathy, anger, and compassion. Activities for children ages 4-18. Social perception.